Wow! 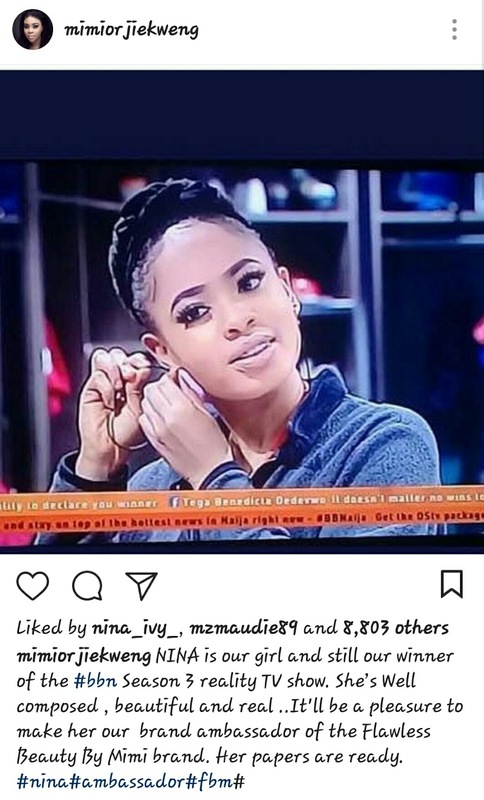 Just like Bambam, Nina has also been made a brand ambassador. Nina bags her first endorsement deal. Who could imagine it would happen so fast? 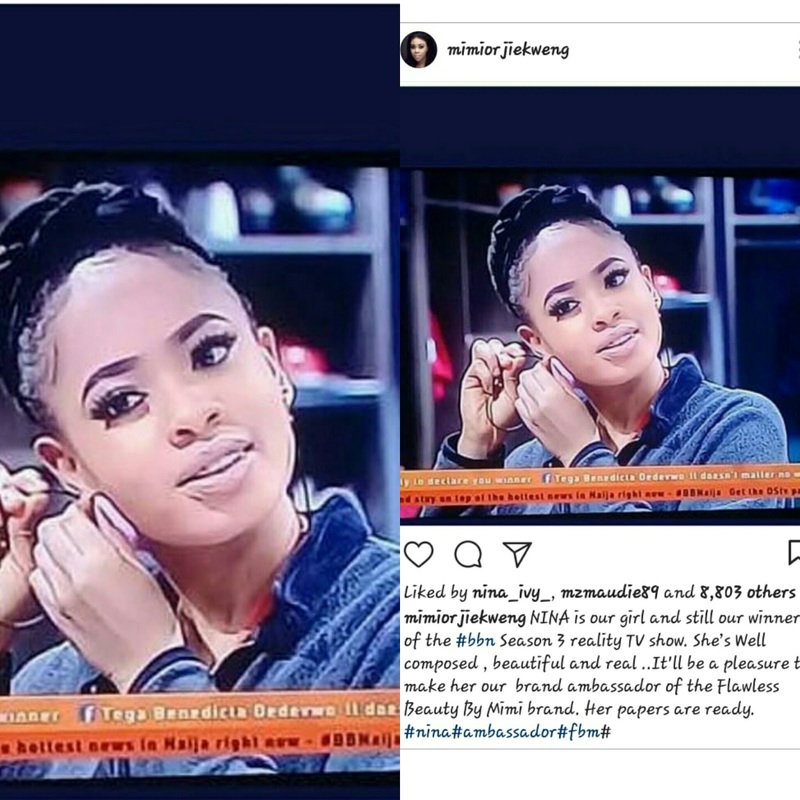 Just a few hours after the eviction of housemate Nina, and the end of the reality tv show, One of the major contenders Chinonso Onyenobi aka Nina who came fifth during the live screening has received her first of many more endorsements with ‘Flawless By Mimi’. 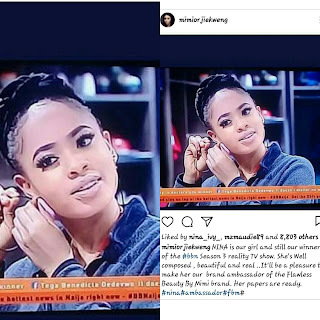 This is coming after the Governor of Imo state, Dr Rochas Okorocha announced that he has a reward for both Nina and Miracle as they have made Imo state proud.